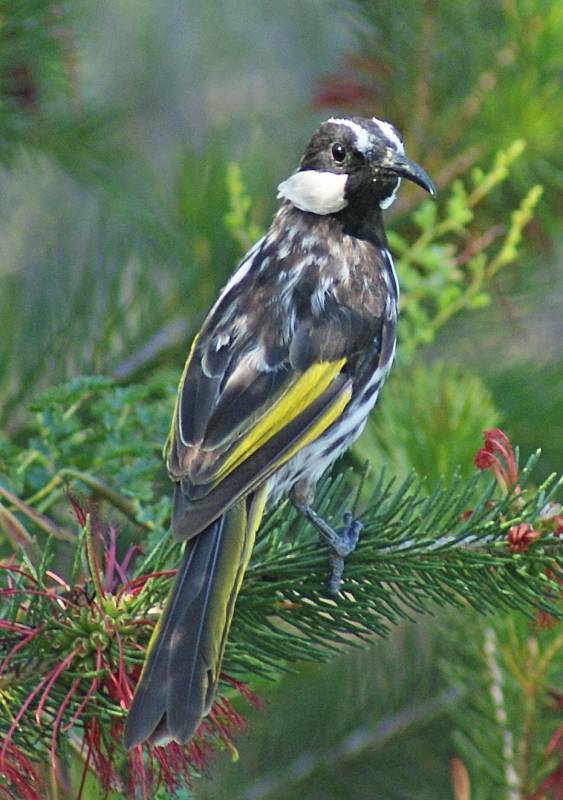 The White-cheeked Honeyeater is a small honeyeater (16-19 cm) and a close relative of the New Holland Honeyeater and looks quite similar, apart from the large white cheek patch and dark eye. There are two subspecies: niger, occurring along the east coast and gouldi in southern WA. This bird is of the latter race, which has smaller white cheek patches than the eastern race. 1: King's Park, Perth, WA, 02/12/2011.